Your big day has finally arrived, you’ve been planning for your wedding for months now and everything is in place, your guests are on their way and all you need to do is slip into your dream wedding dress that everyone is going to be wowed by! But… Why is there always a but? What if the unthinkable happens on your and your partner’s special day and you end up spilling something on your dress and staining it? 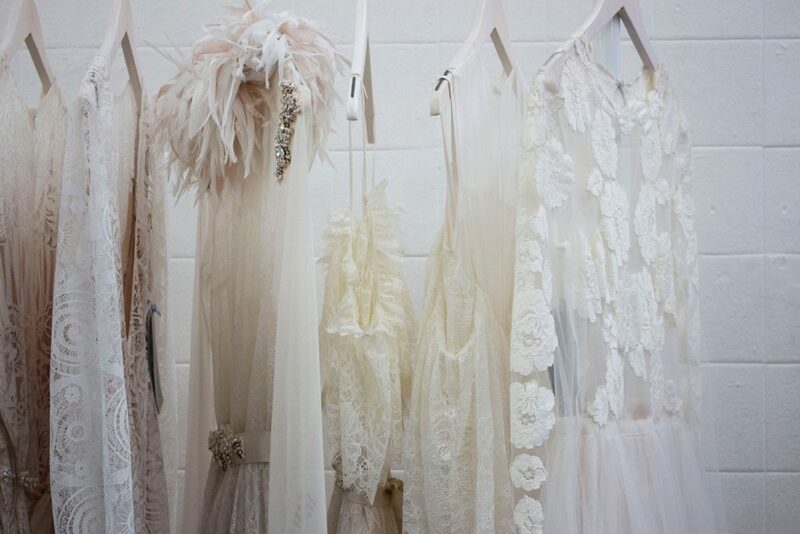 It’s a well-known fact that whenever we wear something white, stains gravitate towards us and there is no exception, not even on your wedding day! You could be popping on one last coat of mascara before you head to your venue when, whoops! You drop the brush and you have a black streak all down the front of your dress. Maybe it’s raining (which is lucky on your wedding day, by the way) and you have a long train that inevitably ends up covered in mud by the end of your photo shoot. Or, maybe your emotional aunt is giving you a hug at your reception and accidentally spills red wine all down the back of your dress… It doesn’t bear thinking about! It is important to remember that accidents happen, no matter how well you prepare and if you do end up with a stain on your dress, no matter how small, you mustn’t let it upset you and spoil your special day. None of your guests or your partner would want to see you freak out about something, that in the grand scheme of things is quite trivial. The best piece of advice we can offer when it comes to stains on your wedding dress is to prepare for the worst, remember there is always a way to resolve a situation and most importantly, stay calm! When getting ready be sure to do your hair and apply all makeup BEFORE putting on your dress. If you need to lift your dress over your head when putting it on, a silk cloth over your face will prevent any of your makeup rubbing off. By following both these stain prevention methods you will reduce your chances of spilling anything down your dress but not eating or drinking on your wedding will not make it much fun… If you decide to ignore this tip (which we strongly recommend you do, if you want to enjoy your wedding day), we suggest putting together a small emergency stain removal kit to deal with any little mishaps as they happen. If you get this dress lifesaver kit ready in advance and give it to your maid of honor to look after on your wedding day, you can be sure you are ready for any stains that come your way. The next question is, what do I use from my emergency stain remover kit for different types of stains on my dress? As with any clothing, different stains need different treatment and below we have outlined a selection of the most common stains you are likely to end up with on your wedding dress. Makeup – If during a quick makeup touchup during your wedding day you end up with a drop of foundation or lipstick on your dress, grab a stain remover wipe asap and the stain will be gone before you know it. Nobody will ever know! Ink-based stains – You’re at your wedding venue, signing the marriage license, when the pen leaks all over your dress! For this, you will need the rubbing alcohol and a couple of white cotton cloths from your emergency stain remover kit. Use one cloth to blot the stain dry and then apply the rubbing alcohol to the other cloth to lightly dab the stain. Water-based stains – We have already mentioned red wine once but if you do end up with it on your dress, use one cotton cloth to absorb as much of the stain as possible and then soak another cloth (or a cotton bud if it’s only a spot) in warm water before dabbing the area until the stain begins to fade. Remember, red wine is notoriously difficult for getting out so if you can’t remove the entire the stain there and then, pop a bit of white chalk over it to hide the mark for the remainder of the day. Oil-based stains – Whether it’s a drop of salad dressing or a piece of oily food that ends up in your lap during your wedding breakfast, be sure to sprinkle it with baby powder quickly to soak up the oil. If required a drop of rubbing alcohol on a cotton bud should remove any remaining residue. Chewing gum – This one is a little more unlikely but if somehow you do end up with gum stuck to your dress, ask someone at your venue to get you some ice cubes and hold it to the gum until it hardens, making it easy to scrape off. 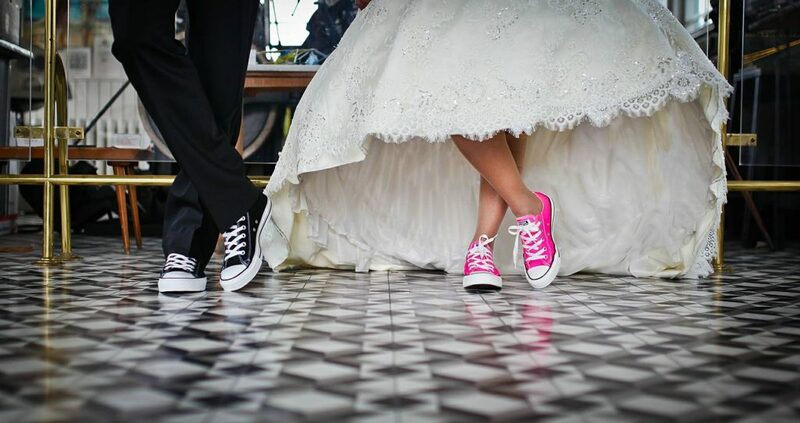 Hopefully, with your emergency stain remover kit to hand and these nuggets of knowledge, you are ready to tackle any disaster stains your wedding dress may encounter. If you have had to use your trusty white chalk as a last resort cover up option on your big day, you can try any of these stain buster methods at home again to see if they remove it a second-time round. It is always advised to have your wedding dress professionally cleaned. However, if you are looking to clean it yourself at home, you could try spot cleaning the out layer only or soaking the individual layers in a bath of warm water and detergent for a couple of hours before hanging them out to try. 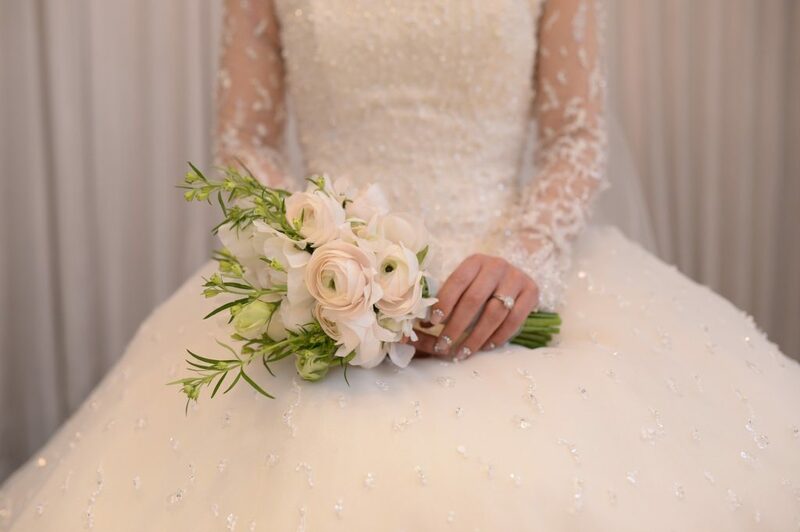 Depending on your wedding dress material, you might be able to clean it at home but we would always recommend having it professionally cleaned to avoid any irreversible damage. Also, it’s a lot less stressful if you leave it to the professionals! Man, this is going to save my fiance on wedding day. She is so concerned about staining the dress she isn’t even going to keep. Thank you for the tips.